Time to order local food! This recipe comes from Elizabeth Motlow of Lost Cove Farm. They are called “Happy” because most people like them, there are no measurements, and you can’t make a mistake. Whisk together olive oil and soy sauce until thick like a salad dressing. Make enough to coat your ribs, but excess liquid is unnecessary.If using organic garlic, do not bother to peel,smash with a hammer and add all to your olive oil & soy sauce. If you are not sure where your garlic came from, peel it. Roughly chop or grate ginger and add to the mix. Add rosemary. I like robust flavors so I use at least half of a whole head of garlic, an equal amount of ginger , and a half tablespoon Rosemary per slab. The recipe also works very well using more modest amounts. Slather mixture over both sides of ribs and stack if making more than one slab. Cover tightly with plastic and refrigerate over night. Bring Ribs to room temperature. Heat oven to 350 degrees F. Wipe marinade off the ribs using your hand. Put one half to one inch of water in bottom of roasting pan. Rollup or tuck under the ribs any lean boneless pieces, and place curved side down on a rack in the pan. Cover tightly with foil. Place in oven and immediately reduce heat to 250 degrees F. Roast one hour, turn ribs over, roast another hour. They will shrink and become very tender, possibly after two hours, but roast a little longer if necessary. Remove from oven and while still warm sprinkle both sides with fennel, cumin, chili powder, perhaps more Rosemary, or any other herb you like. At this point you can either grill them for about ten minutes and enjoy,or let cool, cover with foil, refrigerate, and they will be even better the next day. Remove from fridge, let come to room temp, grill or broil for ten minutes, and serve while warm. The frost is getting thicker but the fall crops are still going strong – enjoy them while they last. I’m enjoying the shorter days and the ability to slow down and take on winter projects. I hope that you are all enjoying the change in seasons and this more contemplative time of year. In case you missed it last week, we welcome Chickweed to the market. Chickweed is run by Elizabeth Koella and she has amazing baked goods and vegetables for sale. I highly recommend the pain au chocolate! Speaking of winter products, the longer nights allows for more handicrafts including spinning and knitting. Hidden Gem has a wide range of beautiful and soft alpaca yarns and roving. Sequatchie Cove Creamery is back this week with cheese! The market will operate as usual on the week of Thanksgiving with pick happening on Tuesday the 20th. Fresh turkeys from Fountain Springs Farm will be available. To reserve one order a turkey deposit now. 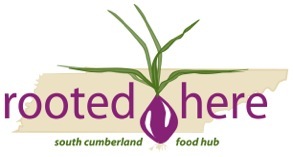 Hi everybody, welcome to the Cumberland Farmer’s Market weekly note, pared-down style! I’m out for a little hike, and so it’s brief. Please browse the available products at the following link. Ordering is open starting now, until 10 am Monday. Happy fall! Lydia Boroughs highly recommends this recipe that includes shiitake mushrooms. She also sent the following variations: " I used lemon grass leaves (5, torn into 5 inch lengths) in the recipe instead of the minced stalk, and removed them before serving. The spice level is low in this recipe. If more heat is wanted, add more curry paste." Click here to link directly to the recipe. Brrr… We’ve been out putting the garden to bed and getting ready for a freeze. I hope you are all warm and ready for winter. Last chance for pumpkins before Halloween! If you’re set on pumpkins, you may prefer to try Pumpkin Chai Ice Cream from IvyWild or some Pumpkin Pie Spiced Gingersnap truffles from Eregion Farm. Dogwood Valley Greenhouse is running two specials this week. Buy 2, Get 1 free on all trade gallon pots of Perennials, Ferns, & Herb Plants from Dogwood Valley Greenhouse. Most are out of bloom now, but are strong, healthy plants, which will develop good root systems before cold weather. They are eager to burst into bloom in your garden next spring. Order your 2 plants as usual on the market, and in the comments section indicate your first & second choices of an additional free plant. Please be specific if there are 2 or more varieties listed (astilbe, carnation, etc.). Also, purple Wandering Jew hanging baskets are HALF-PRICE while supplies last. Stock up on greens before the weather gets too cold for them. In Town Organics has Rutabegas! Enjoy a cozy evening while browsing the market list. In Town Organics will have extra Kale, Collards, Carrots, and Salad available today. Grundy Greens Greenhouse (Michael Raines) will also have Tatsoi heads available. I’m sure there will be additional extras as well. Trim the chops of excess fat. Sprinkle generously with salt and pepper on both sides. Heat a 14-inch cast-iron skillet (if you have a smaller one, you’ll need to work in batches) over high heat, and then swirl in the olive oil. Lay in the pork chops and don’t move them for a few minutes, to assure a good golden sear forms. Turn and brown well on the second side for a total of about 10 minutes. Transfer the chops to a warm plate. Swirl the butter into the pan. Add the onion and apples. Saute until the onion slices are lightly caramelized and the apples have begun to soften, about 8 minutes. Stir in the beer or other liquid. Return chops to the pan. Cook until the pork is tender, about 15 more minutes (depending on the size of the chops), turning halfway through and covering the chops with the apple mixture. If the apple mixture needs a little thickening, transfer the chops to the warm plate again and simmer the mixture on high for a few minutes to reduce. Serve the chops over rice or mashed potatoes with a large spoonful of the apple-onion mixture over the top. It’s pumpkin time. There are a number available. We are also seeing fall root vegetables and Arkansas Black Apples. All of these are good foods for storing over the winter. In a good root cellar Arkansas Black Apples can be kept until spring. Dogwood Valley Greenhouse sends the following message: Buy 2, Get 1 free on all Perennials, Ferns, & Herb Plants from Dogwood Valley Greenhouse. Most are out of bloom now, but are strong, healthy plants, which will develop good root systems before cold weather. They are eager to burst into bloom in your garden next spring. Order your 2 plants as usual on the market, and in the comments section indicate your first & second choices of an additional free plant. Please be specific if there are 2 or more varieties listed (astilbe, carnation, etc.). Thank you for your orders! There have been a few new growers that have joined the market in the last two weeks. I’d like to send a belated welcome to Blue Heron Farm at Saint Andrew’s Sewanee School, and Sterling Candy Company and Triple B Farm/Brooks Girls Cookie Creations out of Manchester. Please check out the grower pages to learn more. Lost Cove Farm has lamb!